Students Need Technology. Technology Needs Power. 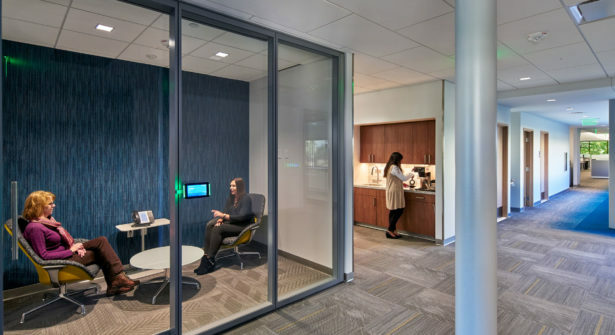 Mobile devices have multiplied over the last decade, resulting in the need for additional power in the spaces where learning and work happens. 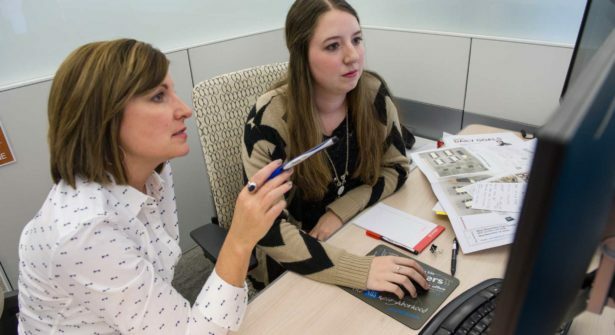 This has become clear in today’s leading education settings where more technology than ever before is being used in classrooms, media centers and in-between spaces. 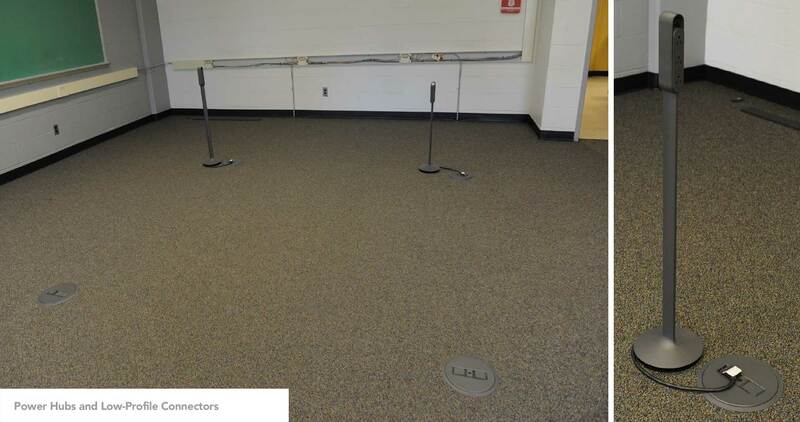 Traditionally classrooms are tethered to perimeter power, causing students to sacrifice comfort or become tangled in a web of extension cords to bring power where they need it. 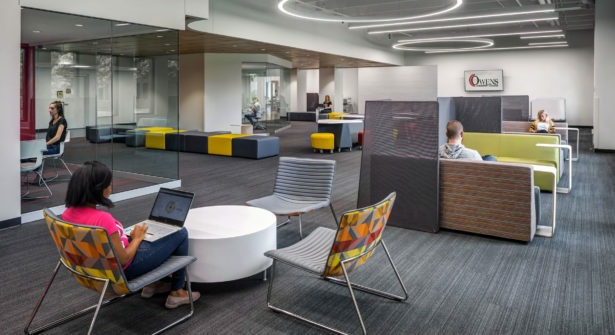 With active learning environments and mobile furniture, power access needs to be just as flexible to connect students to where they are working. Students want to plug in laptops and other devices to support their work and collaboration with peers and teachers. 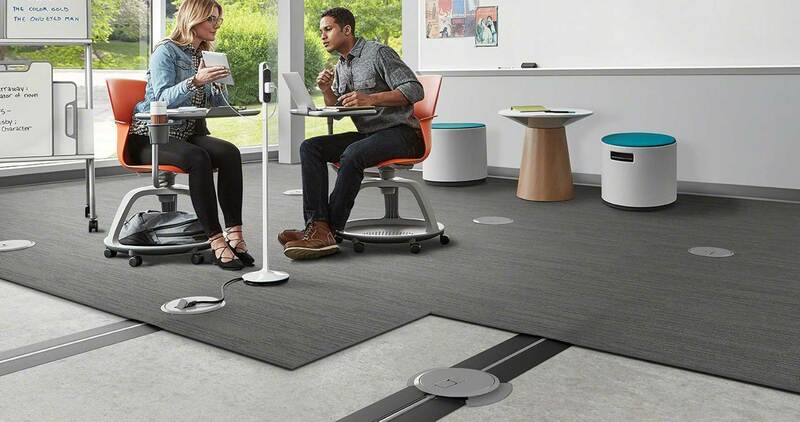 Steelcase Thread is a simple kit of parts that brings power out from the perimeter in an easy to lay track that can be reconfigured as classroom or media center needs change. This supports administrations who want the flexibility to change the future functionality or layout of a space. Thread is the most affordable power distribution system on the market and is a great alternative to core drilling or trenching. Both of which can be expensive and damage the architecture. A raised floor provides more flexibility, but isn’t applicable to all spaces. 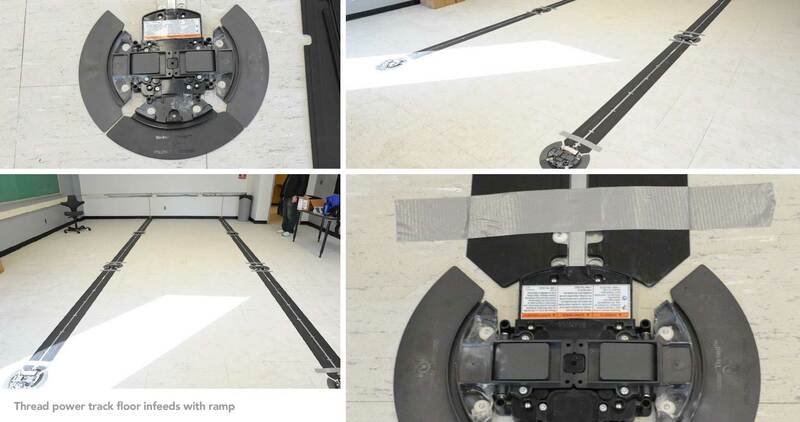 Thread’s ultra-thin design lays as a power grid underneath the carpet at a height of just 3/16″ and is ADA accessible. Optional Power Hubs provide easy plug in access at table or seated height. NBS Construction Solutions can design the layout of the track, price and install the system. 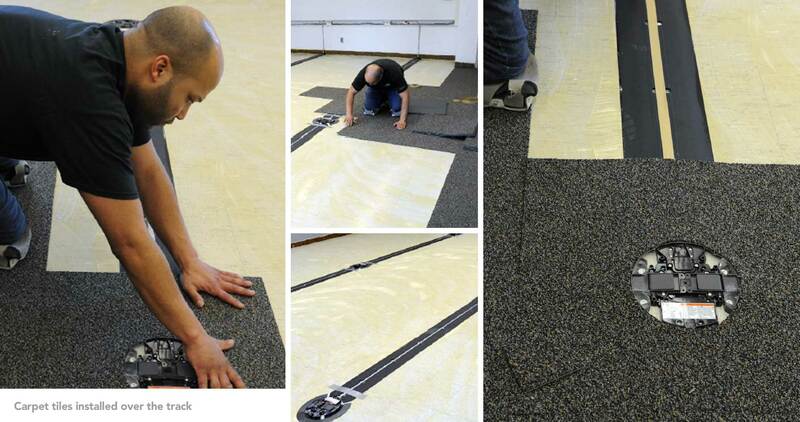 Installing Thread is as easy as laying carpet, with modularity that makes it easy to reconfigure. 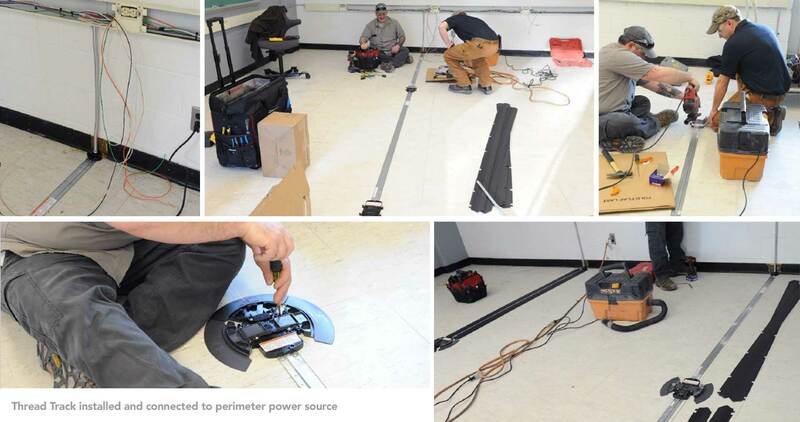 Power can easily be added to new construction or retrofitted into existing spaces. Providing choice and control over where and how technology is used to learn independently or with others can maximize student engagement and support teachers. 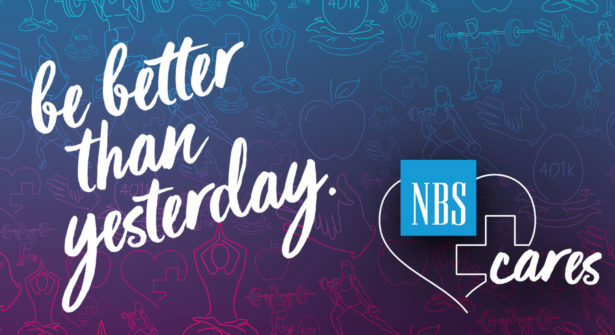 To learn more about Thread contact your NBS representative!